I have so much to write about and no time at the moment to do so. I was without broadband for 4 days and nearly lost the plot altogether. That’s a bit worrying? Need to work that out. It was like losing my mobile… I felt bereft! And I really am bereft about the death of Michael Jackson. To my generation, Jackson wrote the soundtrack of so much of our formative years. From collecting his poster in ‘Jackie’ (when he was a kid and with the Jackson 5) to being blown away by the video to Thriller, I didn’t realise how much affection I had for him and his amazing creativity and talent until I heard he had died. And with the stories coming out now about the state of his health…. well I am very shocked. May his music live forever! Anyway…. this post is really to say that I will be off air again for a week, as we are making the annual ‘pilgrimage’ across the water to the UK to visit with my husbands family and friends. And with the weather being as it is at the moment I am relishing the prospect! No doubt I will have somethings to write about on my return! In the meantime …. put on a bit of Michael Jackson and boogie into July! Some pics of two of my cats to cheer the post up! 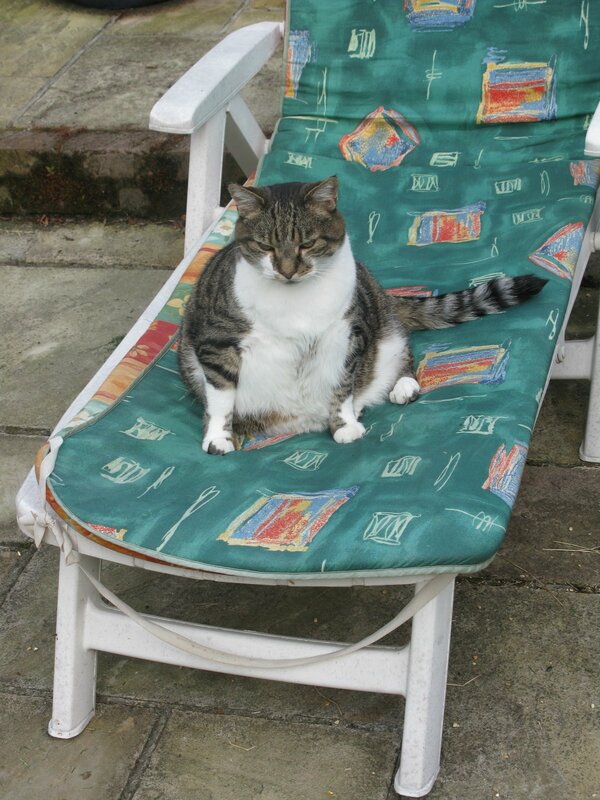 Simba (above) doesn’t do the boogie… his belly gets in the way! 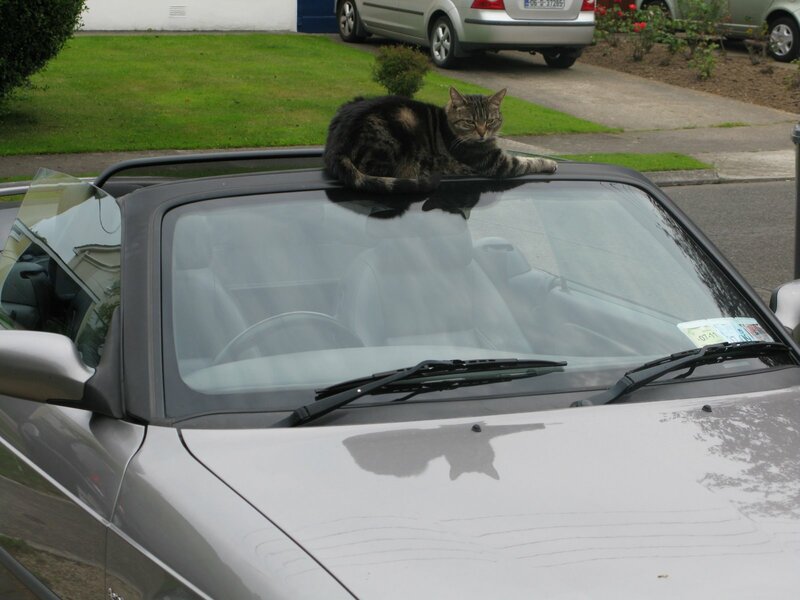 Kitty on the other hand knows she is a pretty kitty and poses on the windscreen in the sun!